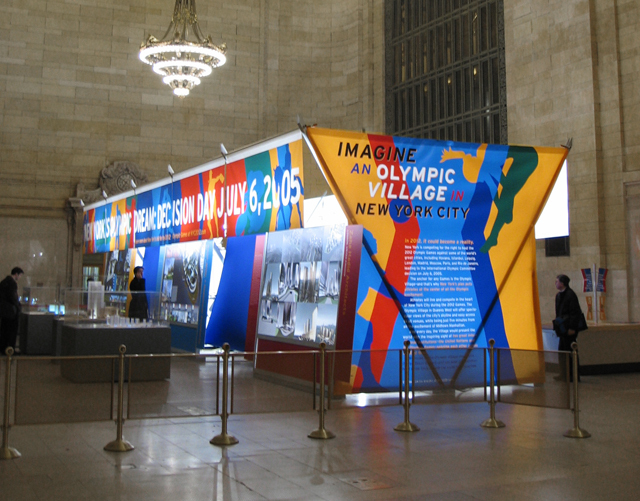 This award-winning exhibit showcased five internationally renowned architects and their designs for an Olympic Village complex. 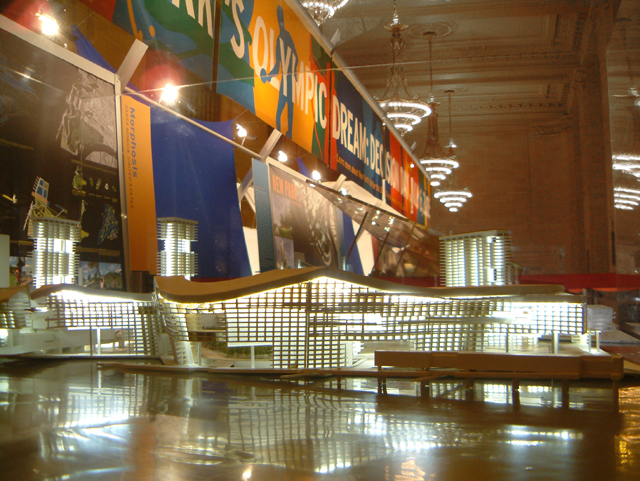 A lightweight, contemporary modular structure supported large-scale graphic banners offered a striking contrast to the Beaux Arts interior at Grand Central Station. 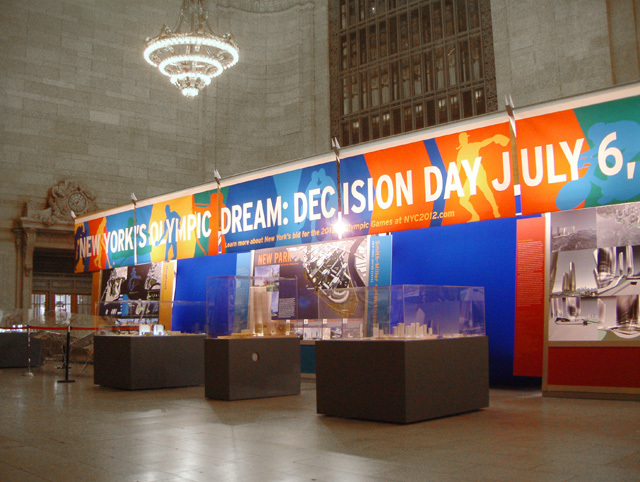 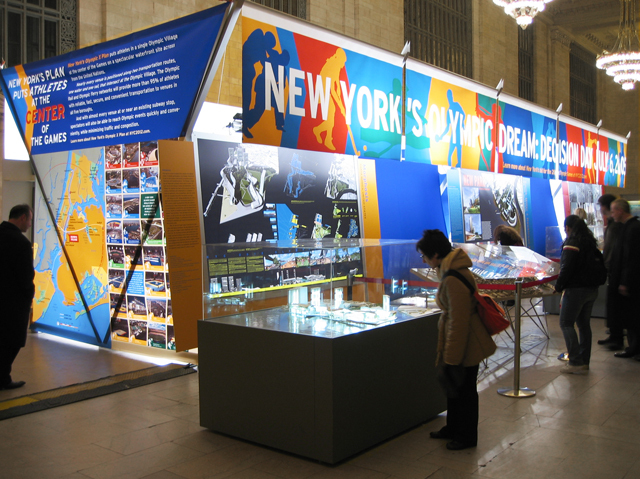 The exhibit provided a focal point for international media coverage and a backdrop for a press conference featuring Mayor Michael Bloomberg, the architects and the NYC2012 committee.